Only Oats is absolute quality and purity. Our commitment to pure oats, free from wheat, barely and rye, begins in the heart of the Canadian prairies with select growers who follow stringent production protocols. From seeding and harvest, to cleaning and delivery, we believe in only the best. Our commitment to purity continues in our processing plant which is dedicated to oats. Great for baking, or a wholesome breakfast to start your day off right. Add a nutritional punch to your favorite muffin, cookie, and apple crisp recipe with Only Oats pure whole grain rolled oats. 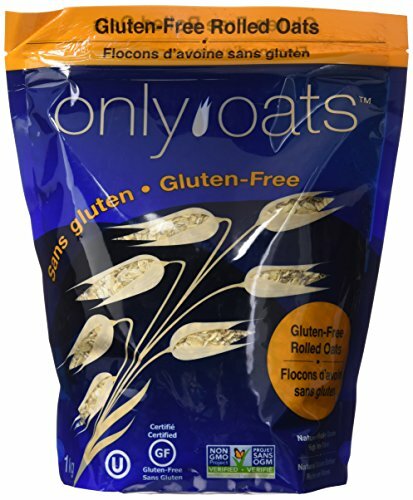 The oats are low in saturated fat, high in fiber and iron, and have no sugar or preservatives added. If you have any questions about this product by ONLY OATS, contact us by completing and submitting the form below. If you are looking for a specif part number, please include it with your message.